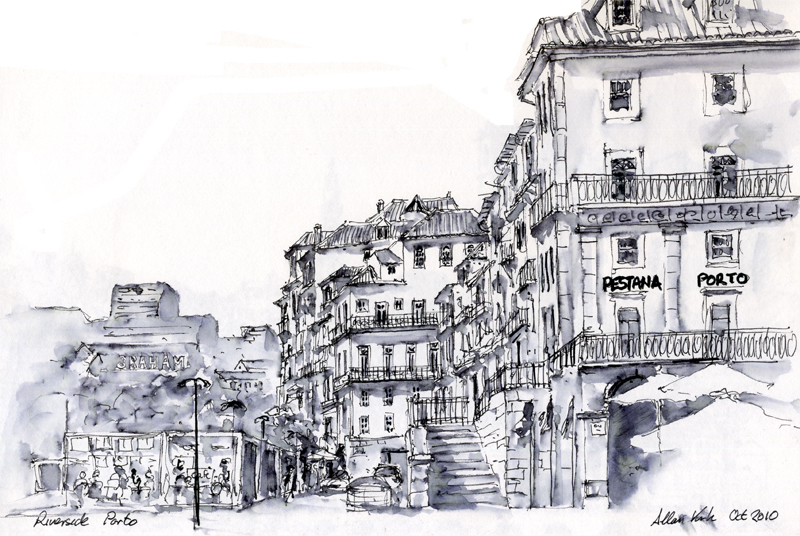 Describe this Piece: Sketched from a cafe on a short break to Porto in Portugal.. A classic historic european city, down by the riverside has beend designated a UNESCO world heritage site. Wow! that’s a lot of work. I’m starting to learn to draw and it’s not easy. So, love your work.